The summer holidays are drawing to a close. The parents are on the home stretch counting down the days until school begins. Whilst the children have a mixture of emotions. Part of them wants to return to school to see their friends, whilst the other part never wants summer to end. I’m currently in the middle, I long for my routine back yet have enjoyed so many wonderful days out with the children. Playing in the garden, reading books together and snuggle down for movies that I don’t want summer to end. Are you ready for the new school year to start? With school uniforms and shoes to fit and new routines to think about, finding the time to choose the best books to buy may not always be a priority. There are lots of great books to choose from and Letts has some engaging and motivating learning books to help your child get back into a learning frame of mind. 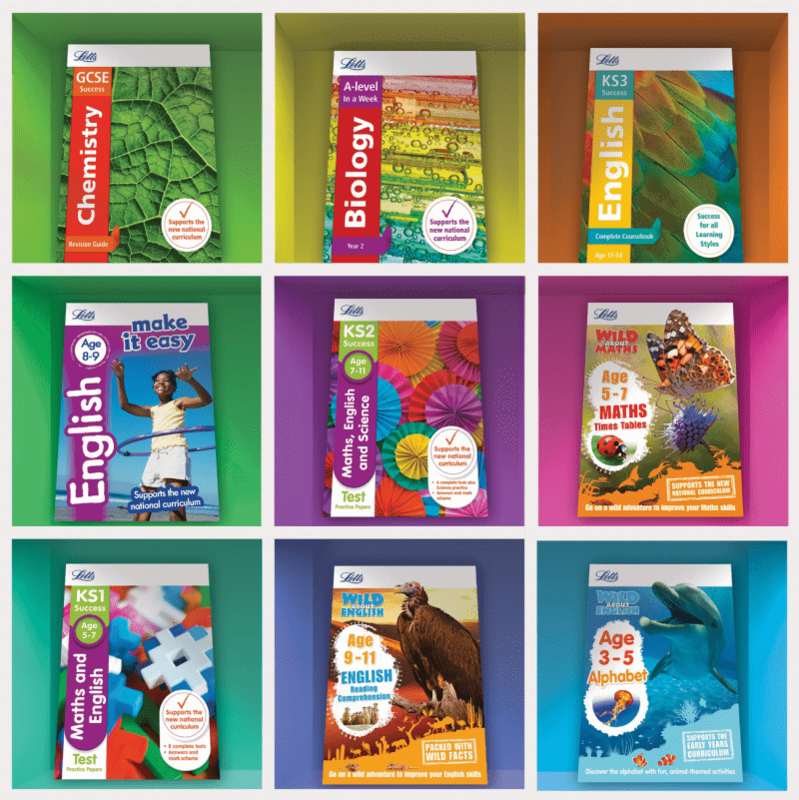 All of their books support the national curriculum so that you know they are reinforcing what your child is being taught at school. 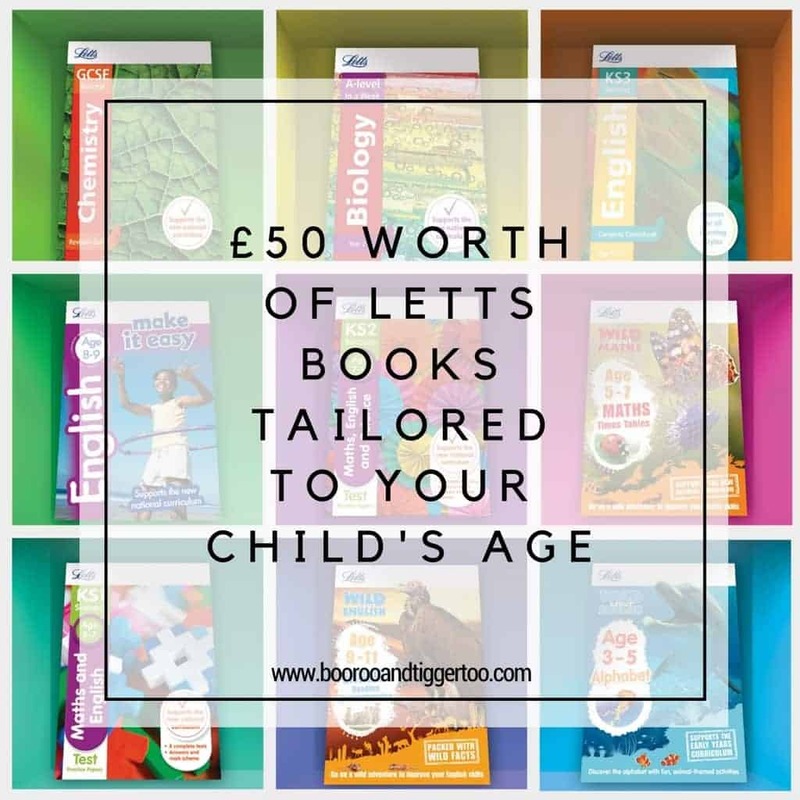 Go to their website to browse their range of books by age group. What’s more, they are offering a 30% discount on all books until 30 September 2016 when you use code BACK30 at www.lettsrevision.co.uk. Would you like to win a bundle of Letts books tailored to your child age this Back to School? To get your little ready for back to school Letts have kindly offered £50 worth of Letts books to giveaway to one lucky reader. Q. What is 12 x 12? Previous Post: « Walkie-Talkie: How to Make Kids’ Playing More Entertaining? 12 x 12 = 144 my son told me before i could work it out! 144 is the answer,thank you. It’s a fair few years since I did my A levels but almost certain that it’s 144. …and twelve twelves are a hundred and forty four! Yikes. Those times tables are still firmly embedded in my phyche. Especially that last line. the answer is 144. Thank you for the giveaway. the answer is 144, thanks for the chance! 144 – took me a while! One hundred and fourty four. Which is also known as a gross. 144 – took a bit of calculation though!! 144, my times tables still come to me instantly even after all of these years! Wonderful prize, interesting and Educational for the children. The answer is 144. Thanks for the lovely giveaway, these books look really useful. what a fantastic question! answer is 144! 144 and I knew it off the top of my head! 144 easy peasy! Awesome prize, fingers crossed. the answer is 144 , such a great giveaway ! 144! This is a superb giveaway! 144 – thanks for a great giveaway! 144 takes me back to primary school and learning my times tables. 144 and I had to check. I thought I remembered all my times tables! 12 x 12 = 144 thanks , fingers crossed ! 144, thanks for the giveaway. Well, I hope it is!